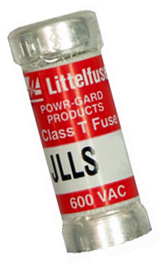 Looking to buy fuses and other electrical products at unbeatable prices? National Fuse Products offers a huge selection of electrical & electronic fuses, blocks, holders, arc flash clothing and tools and wiring devices. National Fuse Products are licensed distributors for: Mersen, Legrand, Littelfuse, Cementex, and HellermannTyton products. We also carry over 30 other brand names, including European and Japanese fuses. Most products are in stock with same-day shipping from industry leading manufacturers. If you need help in determining the fuse replacement, simply contact us online, call us at 800-328-0496 or send us an email at sales@nationalfuse.com and we’ll be happy to locate exactly what you’re looking for.